SCL ITALIA-LARDERELLO GROUP participated in the first exhibition in China organized by the NEW AG, on 16-18 October 2017, in Jinan, Shandong Province. 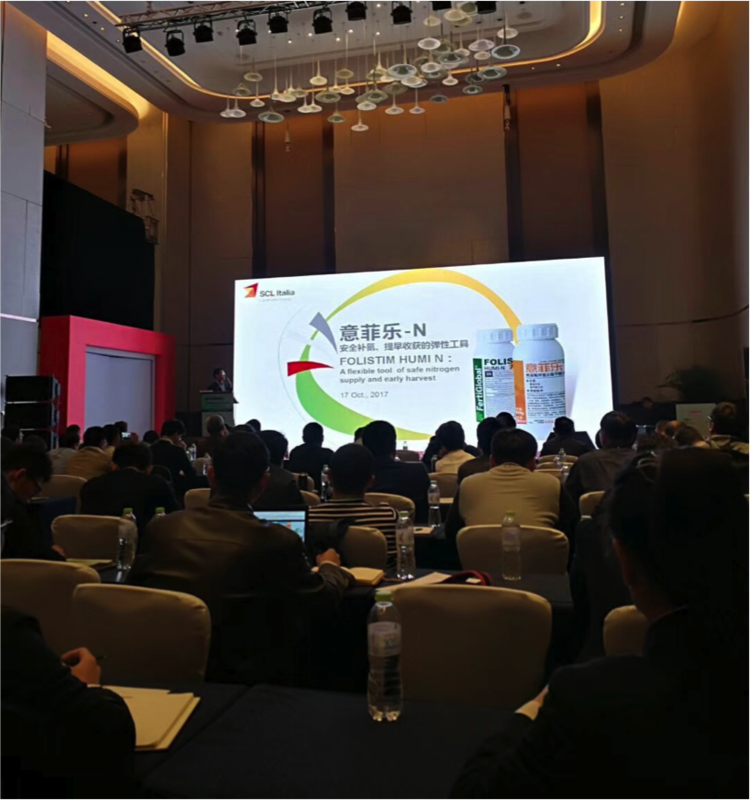 As a sponsor of the conference, SCL ITALIA-LARDERELLO GROUP presented a very important product for the Chinese market named Folistim HUMI N.
Important distributors and partners have been invited to visit the conference by SCLITALIA, like Jinniu, Golden Farm, China Agro. Many succesful negotiations have been carried on. New co-operation agreements have been developed during the exhibition with important players in the East and North of China. The pictures show the Folistim HUMI N presentation and our Chinese sales team at the exhibition.